Did you know that over 70% of people searching for a new dentist use a smart phone during their research? Did you know that Google ranks sites higher if they provide a great mobile experience? If you don’t have a website that looks great on a smartphone, you’re missing out on a huge chunk of revenue that’s going directly into your competitor’s pockets. First.Dentist websites utilize responsive design to avoid these problems. The foundation of any online marketing effort is a well designed, mobile-friendly responsive website. At First.Dentist we specialize in designing dental websites for mobile devices and tablets using responsive design techniques. A responsive web design adapts to the type of device based on screen size, browser and device orientation. As the user switches from their laptop to smartphone, the website automatically responds to the device. All First.Dentist websites look amazing on any device your patients might be using. Responsive design is the best approach for SEO and converting visitors into new patients. You can share your website with anyone and you can be sure it will look great on any device. You can also be sure it will convert new patients with our built-in technology and design. To review your website performance on mobile, view your website on your phone and see how your site looks. How easy is it to contact your office? Does your mobile site position your practice the way you want? Is your first impression (in 5 seconds) that you are the best dentist in your local area? Does your site immediately position your practice and showcase you and your team? What does Googlebot think about your site? If your website displays any errors here, you need to get them corrected. Up to 70% of your visitors will probably be visiting on a smartphone, so you need to make sure that Google likes your site and that you rank in the search engines. An important caveat is that some websites use a mobile plugin that is designed to convince Google that your website is mobile compliant. They almost never offer a great user experience and the mobile version may be completely different from your desktop site. Mobile plugins are not recommended if you want to convert new patients effectively and maintain your search engine rankings. Your practice needs a responsive website now! Don’t wait. Get ahead of other practices and the mobile search market by converting to a responsive, WordPress website today. 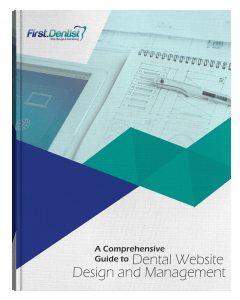 First.Dentist is a leader in the dental marketing and website industry. We can help you convert new patients from the web. Enter your information below to book a free website review or digital marketing strategy session.